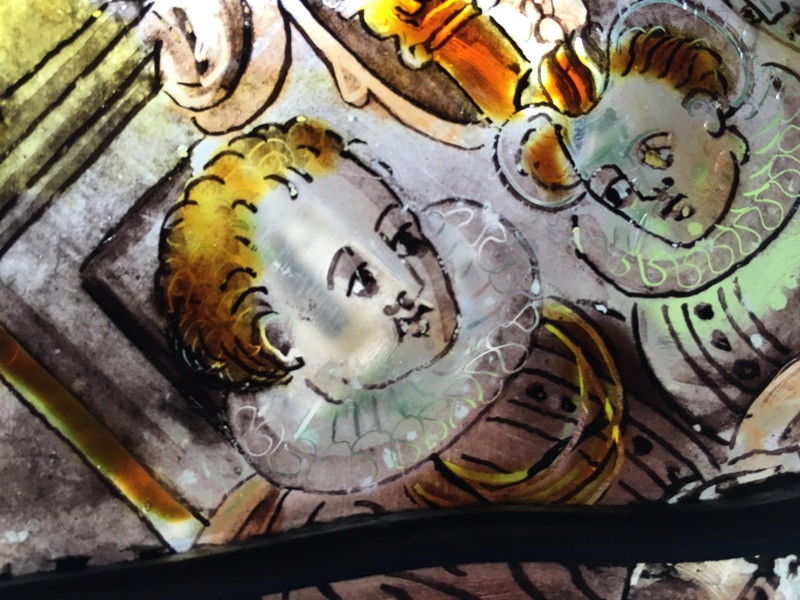 Roundels are small glass wonders which display detailed draughtsmanship and rich subject matter. They use light as the main medium for enriching an interior and are a delight to behold in any setting. Over the years I have been lucky enough to work closely with collections of these artworks and help preserve them for future generations. 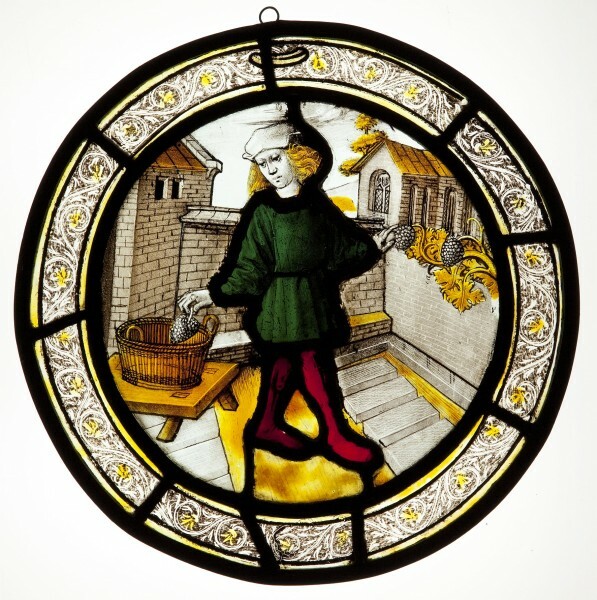 Netherlandish-style stained glass roundels are different from regular stained glass windows or panels. 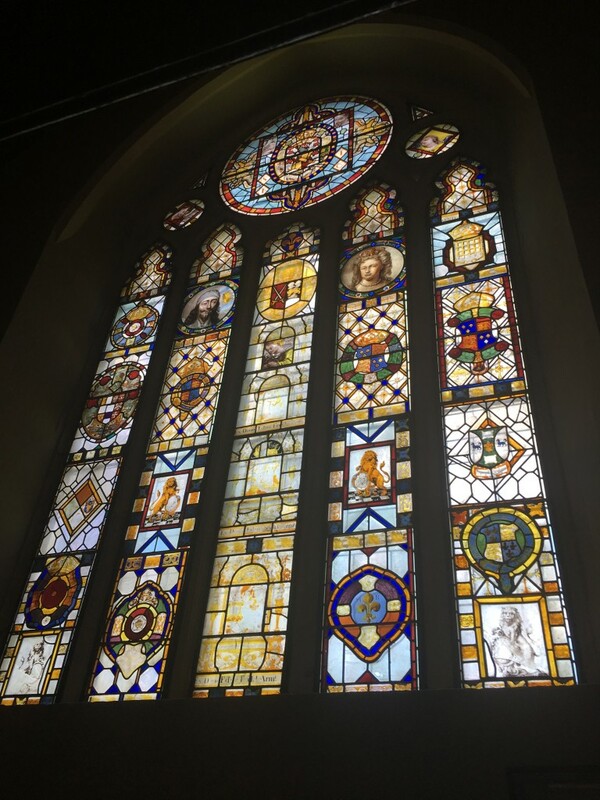 While stained glass windows usually use the whole space of the window, multiple pieces of glass and sometimes a building-wide scheme to create scenes, tell stories and depict figures within an architectural framework, roundels have a whole scene depicted on one piece of glass. This scene is painted much like an artwork on canvas rather than pieced together out of multiple glass shapes and can usually be viewed alone outside of a narrative scheme. The Labours of the month, September (?) – early 16th Century – artist unknown. The roundel appeared as a new form of art in the late 15th century. 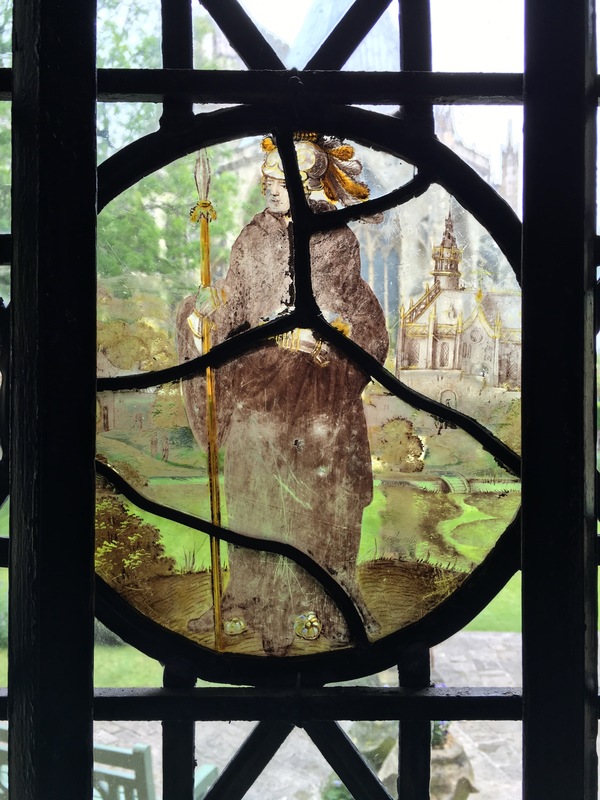 Vitreous paints and silver stain were applied to the single glass pane to create a detailed scene in grisaille style. 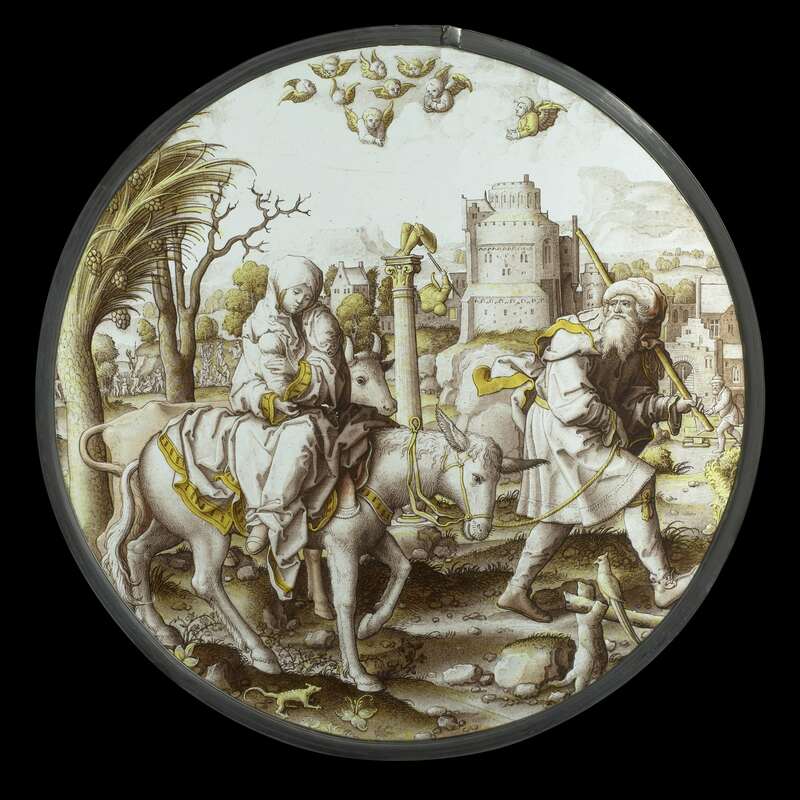 They had scenes painted on round pieces of glass and focus on one particular scene in a biblical story, a folk-tale or even a song. This approach to painting (grisaille simply meaning to paint in monochrome) reflects the printmaking and woodcut tradition of the Low Countries, where they were first created. The style developed in Northern Europe and was particularly popular in the Low Countries – the most popular artists such as Dirk Vellert and Jan Swart van Gronigen hailed from Antwerp and Brussels. Hence why they are often termed as Netherlandish Roundels. Because of their style and the prominence of art being produced in the Low Countries at that time it is likely that they were marketed in the same way as commercial panel paintings and mass produced. 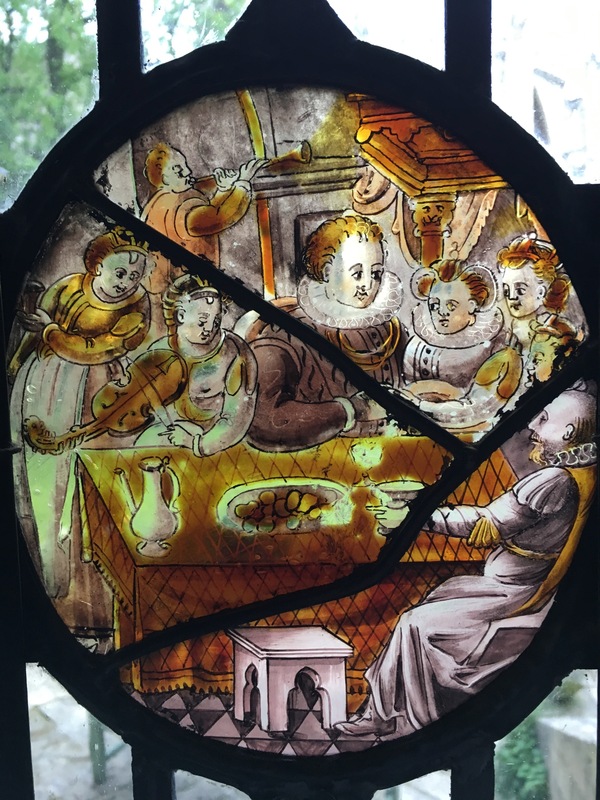 It was more common than ever for people to decorate their homes with art and these glass roundels were popular in many homes and other secular buildings as well as some churches. Roundels made their way to England imported by rich individuals and popularised by an interest in European art and the Renaissance. Part of its success was likely due to changes in subject matter in post-reformation England and a change in the focus of patronage from Ecclesiastical to Secular buildings and subjects. The roundels were traditionally and most frequently housed in clear glass settings. 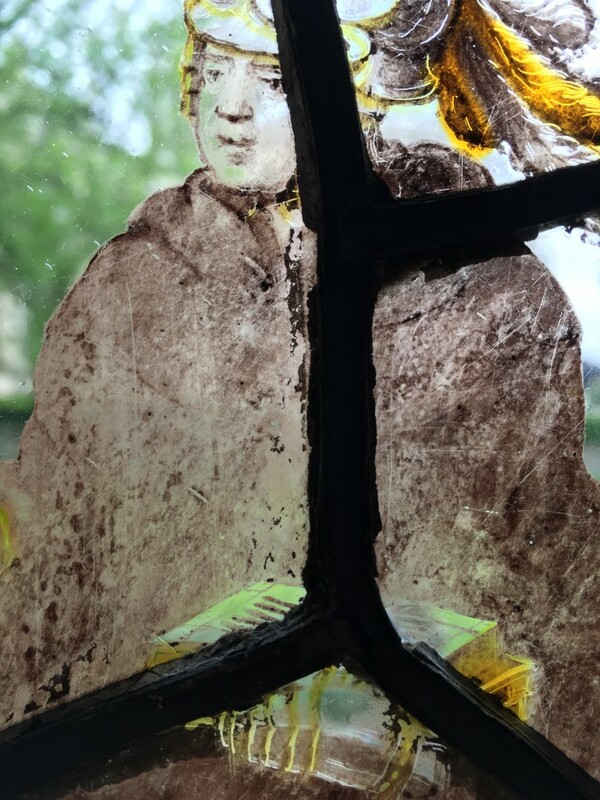 Throughout the nineteenth century however, glaziers like Samuel Yarrington from Norwich were looking for more artistic ways of setting these small panels into windows and created colourful, decorative and geometric borders and backgrounds for them. This approach can be seen in a number of churches across Norfolk and Suffolk and has also been adopted in the St Michael and Our Lady’s church in Wragby, Yorkshire (found in the grounds of National Trust property Nostell Priory) and St Mary’s church in Churchgate Street, Old Harlow. Sometimes they also include medieval fragments and later portrait style panels of the 17th century – as in the case of Churchgate Street (pictured). 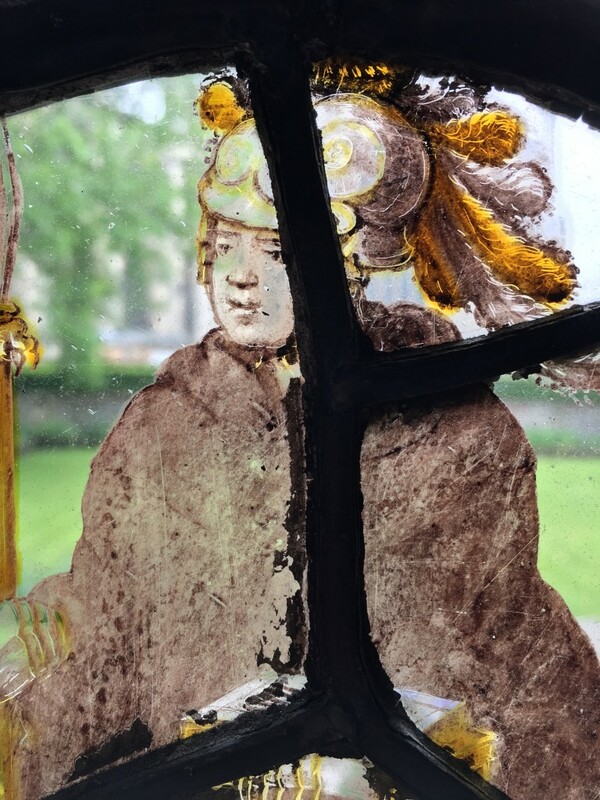 Throughout the centuries this style developed in size and colour into narrative panels which more closely resembled full-scale stained glass windows. 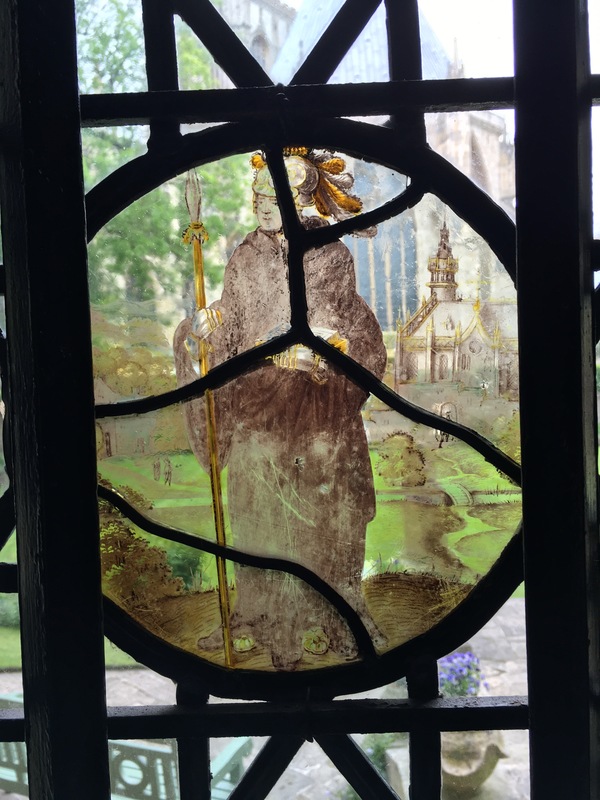 In 2016 I conservation cleaned the stained glass roundels in Treasurer’s House, York as part of the house’s yearly preventive conservation schedule. Next Post Don’t be brash with your brass!